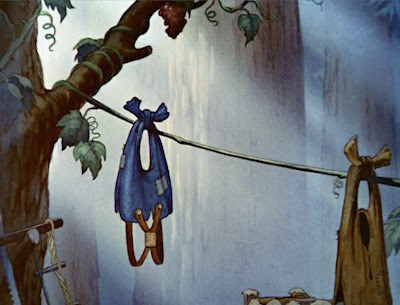 Animation Backgrounds: SNOW WHITE:Hanging Out The Wash! 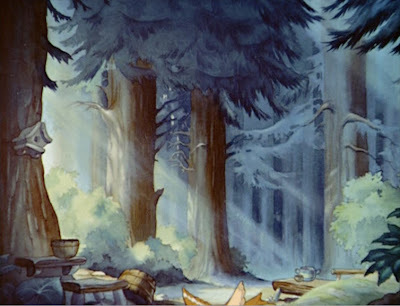 Disney's classic SNOW WHITE pushed the boundaries of the animation art form to a new level. One of the many highlights of the character animation is the animals cleaning the dwarves' cottage Amidst the flurry of animation activity, it's easy to overlook the stunning backgrounds. Here are two! Very beautiful backgrounds. They each look like something out of a page from a 19th century storybook. I believe Albert Hurter was the main consultant on "fairy tale types of stuff" for this film, from the dwarf's cottage & the castle to how trees & rocks looked. Were ALL the Snow White backgrounds done in watercolor? Lush and very focused details bring these backgrounds to stunning life! I love the little curleyques of the vines! Something I add whenever I can in my theatrical designs. Always a great touch of life! THE JUNGLE BOOK: Mowgli gets Twitterpated! 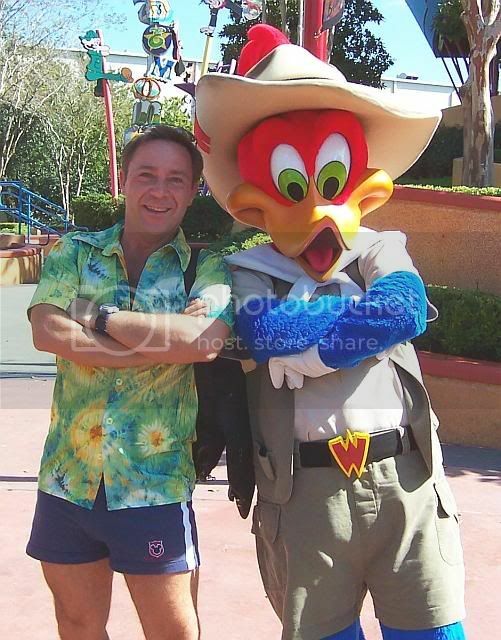 WARNER BROTHERS:The Road Runner and Coyote! LUCKY NUMBER (1951):Everything's Just Ducky! SNOW WHITE:Hanging Out The Wash! MARY POPPINS: A Jolly Holiday! Setting the Stage: Where the Toons Live!